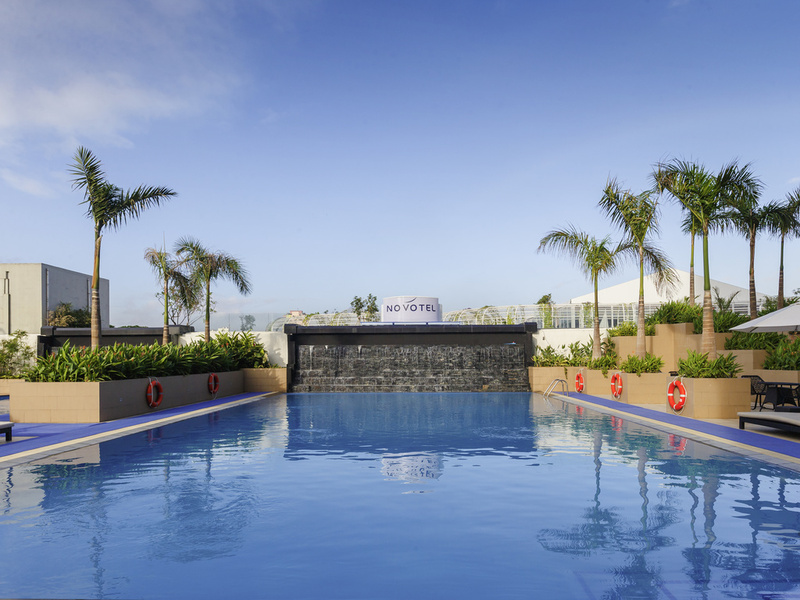 Located in the heart of Araneta Center, a prime shopping, dining and commercial district in Quezon City, Novotel Manila Araneta Center is adjacent to the Araneta Coliseum and Gateway Mall. A PHP 1,000 nett surcharge per dog per day applies to guest requesting to check-in with pets. Discover modern décor and ergonomic comfort in 401 rooms and suites for up to 2 adults and 2 children. Delight in our rooms with work area, hand and rain shower, LED flat screen TV, safety deposit box, tea/coffee making facilities and free WIFI. Our spacious suites include a separate living room and en-suite bathroom with bathtub. Executive Rooms and Suites enjoy access to the Premier Lounge with benefits ranging from all-day refreshments, breakfast, afternoon tea and evening cocktails. Beat the heat in Manila with a refreshing treat from our gelato and pastry shop on the ground floor. Grab a cone of our homemade gelato made from natural ingredients and with no preservatives, or take a break in the seating area and indulge. Private and exclusive, the privileged get to enjoy the distinct bespoke services: unique buffet spread, afternoon tea, cocktails and use of the business center facilities while enjoying the panoramic view of Manila's skyline. Sabor is an intimate space to Mix N Mingle, with a distinct collection of wines elegantly displayed for an easy glimpse and an array of signature tapas prepared by the Chef. Move to the rhythm and #SABORtheMoment! The Gourmet Bar by Novotel is a chic, informal lobby lounge serving savoury snacks, coffee and trendy drinks. The perfect venue to unwind and meet friends and business associates. The 6th Pool Bar & Lounge is a go-to hotspot in Quezon City. After a game or a concert at the Smart Araneta Coliseum next door, locals gather here to celebrate and wind down.